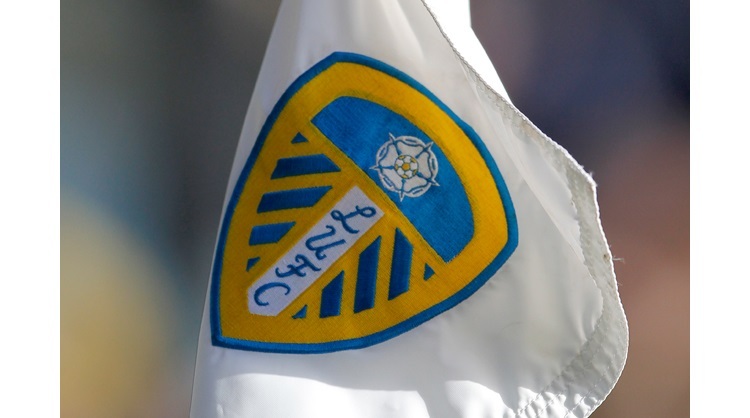 Leeds United: Blackman, Pearce, Shaughnessy (Klich 45), Jansson, Shackleton (Saiz 45), Baker, Phillips, Harrison, Dallas, Roberts (Alioski 60), Bamford. Subs: Huffer, Douglas, Saiz, Roofe. Preston North End: Maxwell, Fisher, Earl, Davies, Moult (Nmecha 75), Harrop, Johnson (Pearson 71), Storey, Ledson, Barker (Browne 72), Barkhuizen. Subs: Rudd, Hughes, Huntington, Burke. Leeds United suffered a first defeat under head coach Marcelo Bielsa, as Preston sent Leeds out of the Carabao Cup in the second round, with a 2-0 victory. Preston came out of the traps quickly and were awarded a penalty inside 45 seconds, when Louis Moult was felled in the box by Pontus Jansson. Daniel Johnson stepped up to take the spot kick and sent goalkeeper Jamal Blackman the wrong way. A minute later, the visitors nearly made it two, Tom Barkhuizen drove forwards and his deflected effort went just wide. Leeds’ first chance came in the 11th minute, a Tom Pearce cross hit Patrick Bamford and fell to Tyler Roberts, he fired a curling effort, but couldn’t find the target. Jamie Shackleton then went close, captain for the evening Stuart Dallas fired a cross into the box from the right and his first time shot was only denied by a super save from Chris Maxwell. Preston were reduced to ten men just before the 30 minute mark, Ryan Ledson was shown a straight red card for a terrible two footed challenge on Lewis Baker. Leeds cranked up the pressure and almost equalised a minute later, Maxwell could only punch a Dallas cross into the path of Jansson, who saw a header cleared off the line by Ben Davies. Patrick Bamford then tried his luck from 25 yards, but again, another brilliant save from Maxwell kept Preston in front. Bamford again went close, this time he was found in the Preston box by Dallas, but his header was straight at Maxwell. Johnson went close for Preston when the ball fell to him on the edge of the box, but he couldn’t keep his effort down and it was the same at the other end for Jack Harrison, after he did well to work room for a shot in the North End box. Just before the break, somewhat against the run of play, Preston doubled their lead. Brandon Barker charged up the pitch on the counter attack and scored a fine solo goal, giving Blackman no chance. Bielsa made two changes at the break for the Whites, introducing Mateusz Klich and Samuel Saiz and the latter had an instant impact, driving up the pitch and feeding Bamford, who fired just wide into the side netting. Bamford again went close when he was found in the box by Tom Pearce, but his strike deflected wide and from the resulting corner, Roberts saw a header deflect just over, following a Harrison cross. At the other end, Johnson tried his luck from range for the visitors, forcing Blackman into a decent stop. Saiz saw a penalty claim turned away, before a Bamford shot flew up in the air and Maxwell’s punch wasn’t convincing. The ball fell to substitute Ezgjan Alioski, but he could only scuff a volley wide, with a near empty goal ahead. Baker did well to work himself room for a shot, but he was unable to find the target with his attempt, as regular time began to run out. With a minute of normal time remaining, Bamford had space to shoot from just inside the Preston box, he tried a curling effort, but his effort was too high. In stoppage time Alioski tried his luck from 30 yards and so nearly found the top corner, Saiz went close with a volley and Baker also saw an effort denied by Maxwell. However it wasn’t to be for the Whites who exit the competition and will look for a better result in the league meeting with Preston on September 18th.